Manufactured in Italie from 1953 until 0. 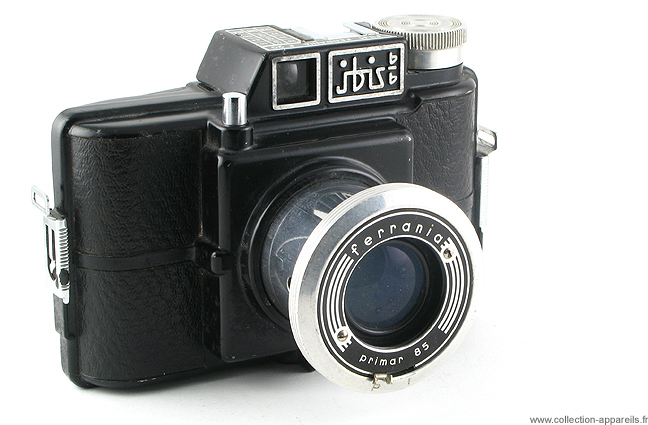 This camera is very basic, manufactured made of aluminum. The lens (Primar 8,8/85 mm) is assembled on a extractable tube. The synchro-flash is on the side of this tube. This camera was distributed to the USA per G.A. Buttafarri. In 1956, it was sold there $12,95.